N - Z There are 2 products. Old Skool Flavor is a t-shirt brand by World Offstring Champion Tsubasa Oonishi. The 'Old Skool Flavor' refers back to the old school days of yo-yoing in the late 90s, when the majority of the older members of the community started playing. One Drop Design was started in 2001 by Shawn Nelson and David Metz as a contracting machine shop which, in 2007, turned it's hand to yo-yos, and now makes some of the most popular metals on the market, straight out of Eugene, Oregon, USA. 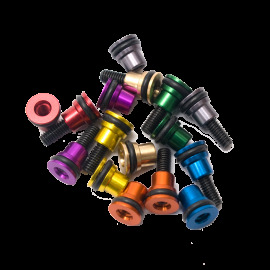 Rice Rocket Mods of the USA specialise in modifications for your favourite yo-yos! sOMEThING is a high-end yo-yo brand from Japan, owned and operated by multiple National, Asian and World Champion - Hiroyuki Suzuki. Hiroyuki's life-long passion for yo-yoing is reflected in the outstanding, high quality products that his company creates. Including some of the best Offstring and Looping yo-yos on the market. Spin Dynamics is a yo-yo design company built on innovative designs and precise engineering. Founded by professional yo-yo teacher and World Yo-Yo Contest judge Nick Gumlaw and now co-owned by Daniel Dietz, Spin Dynamics prides itself in its commitment to quality. Vosun's focus is on FUN and aim to bring the fun in with all the equipment they create. With all the high quality control and selected parts, VOSUN equipment is be a new choice for you to use in both your daily yo-yo meetings, and in competition. Straight out of France, X3 (or Xcubed) is a yo-yo company owned by French player Alexandre VALIN, aka Xela. Makers of fine Aluminum yo-yos which are famous for their extremely wide shape. 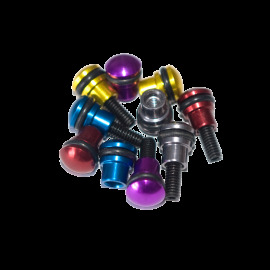 Yomega create finely engineered yo-yos and skill toys. Their goal is to introduce the fun of yo-yoing to the youngest players and to provide yo-yos that extend through play levels to the competition arena. Yo-ing is a fast paced sport that changes daily and Yomega is newly committed to staying on the cutting edge. Founded in 2003 by YoHans (Hans Van Dan Elzen), YoyoFactory designs and manufactures some of the best performing Yo-Yos in the world for professional players, World Record holders, National and World Champions - in addition, they produce some of the most popular beginner level based yo-yos on the market. Started in April 2012, their yoyos are thrown all over the world. Wonderful anodization, excellent design, low price. YoYoJam products are proudly made in the United States and are distributed worldwide. YoYoJam is known for revolutionizing the yo-yo world with precision balanced and uniquely constructed yo-yos. Since 1999, YoYoJam has been The Choice of Champions. A Japanese manufacturer of high-end, high quality yo-yos. YoYoStringLab is the brain child of Matt Brown. YYSL offerspremium "Lab-Grade" yoyo string. The Lab-Grade name reflects Matt's passion for focusing on every detail, as if running his own mini laboratory.